When my husband and I got married, we were strongly opposed to the whole idea of “step-” or “half-” anything. In our home, we’re a family – a blended family – and that’s how we like it. In fact, that’s how we insist that it be – especially with our extended families. It’s not always easy because there’s no rule book, no guide for how people should act…so the lines can get muddy sometimes. One of the relationships that we wanted to keep intact and keep strong for our kids is their relationships with their grandparents. Now, by default, blended families come together with a lot of history and not a little extra baggage. I get that, but I also know that there are little children involved who know nothing about the issues that did or did not happen. So, we set some guidelines for how being grandparents in a blended family could work in our home. 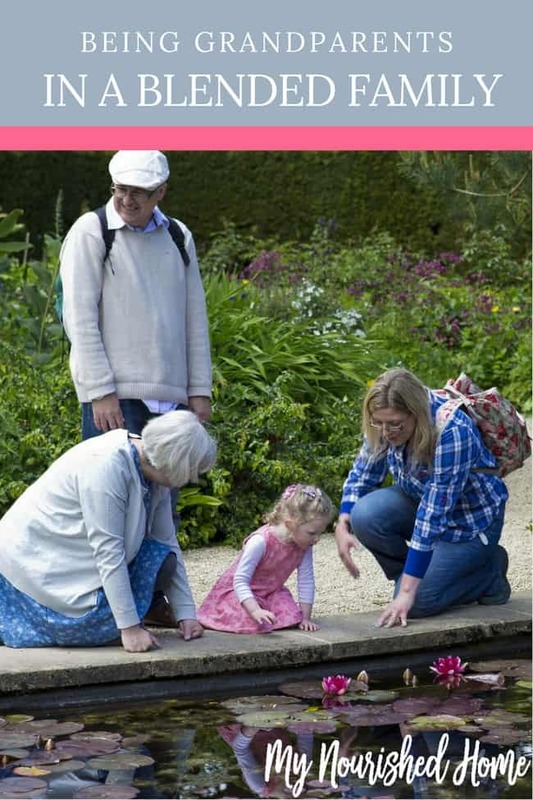 It’s definitely not an easy topic to broach, but it’s helped us – and the grandparents – so much. All of the kids are your grandchildren. It’s not just my child or his child or any children that come after, it’s all of the children that are a part of our family who are now a part of yours. They are all your grandchildren. That means that if you want to get a birthday gift for one, you need to get a birthday gift for them all. If you want to send a holiday card to one, you have to send a holiday card to all of them. We understand that that might be out of your budget, so please don’t feel like you have to – at all. We just don’t want our innocent children to be disappointed when their sister gets a birthday card and they don’t. If you’re not sure, ask. If you’re not sure about how something works now in our family, ask. We work pretty hard at creating a happy blended family. Yes, some traditions may change and some things that were commonplace may not be a good fit anymore. That’s okay. Don’t sit and stew or worry about how things should be though, just ask us and we’ll be happy to talk with you about how things are now. Because life now is different than life before. Your presence is important to all of us. You know what means the world to us? You being there. It means the world to us and it means the world to the kids – all of them. Love is a powerful thing and when your grandchildren feel loved by you, man, you will get that love back in spades. So, if you can attend the concert or the graduation or the birthday dinner, please do. Please try and make the effort, because it means so much to all of us. We want you to be involved in our children’s lives because you matter. And we are going to make an effort to include you too, no matter which side of the family you come from. 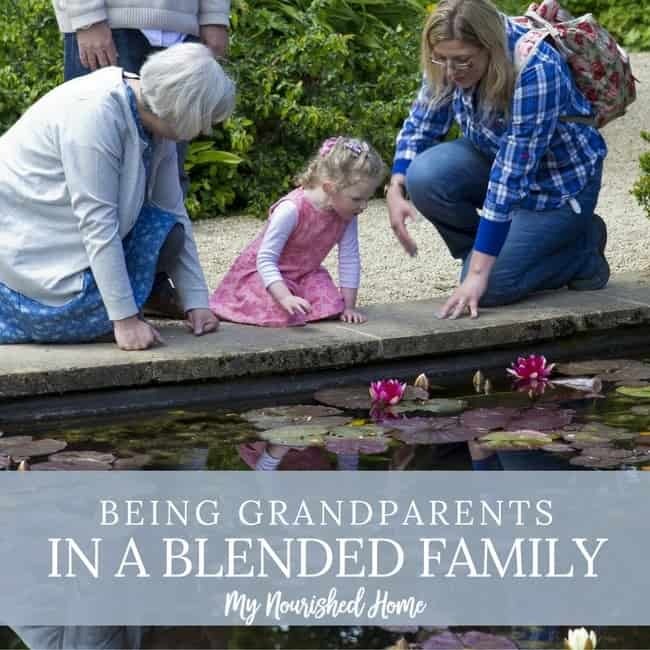 You can read about including grandparents in a blended family here. Nothing is Better than Grandparents! None of us knows exactly how to navigate the world of a blended family. Each day, each holiday, each event leaves us with a bit more knowledge and insight, but we’re not perfect. If nothing else, the thing we can get right is the love for these children who want to be part of your life. Being grandparents in a blended family probably isn’t what you signed up for, but it’s what we have and it’s a great opportunity to teach our children about love. And who knows more about how to love a family than grandparents!